TITLE: "VIRGIN MARY: SPOUSE OF THE HOLY SPIRIT"
Subtitle: Promise Keepers and Roman Catholic Church combine efforts to promote the Virgin Mary as the Spouse of the Holy Spirit! Now you know the Truth about Promise Keepers! "Today, I sense a new oneness, or completion, in my spiritual life AS I SEEK TO JOIN MARY AND THE HOLY SPIRIT IN MY PRAYER. I've also seen this new fullness and vitality flow into student groups on our campus and into prayer groups as they've celebrated THE SPOUSAL UNITY OF OUR LADY AND THE HOLY SPIRIT.... Beginning with the Miraculous Medal apparitions at Rue de Bac in Paris and continuing through this century, Our Lady has appeared to countless people throughout the world. Her apparitions at Lourdes and Fatima have received the highest Church approval, but Beauraing, Banneux, Knox, Akita, Managua, Amsterdam, La Salette and Kibeho have all been endorsed by their local bishops...[Saint Maximilian Kolbe's] secret was an intimate relationship with the 'Immaculata' in the power of the Holy Spirit. ... "
This article by Michael Scanlan expresses the views of popes throughout the ages who have decreed Mary the "Spouse of the Holy Spirit". 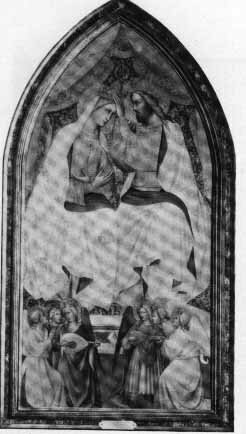 This perverse doctrine lays the foundation of Mary as the "Immaculate Conception" and leads to her "Assumption" into heaven and coronation as "Queen of Heaven". Pope Pius XII did think that Mary was "firstborn daughter of the Father", but Leo VIII went so far in his Encyclical Augustissimæ (Sept.12, 1897) to say of Mary: "God chose her from all eternity to be the Mother of the Incarnate Word, and for that reason so eminently disguised her among all His most beautiful works in the triple order of nature, grace and glory, that the Church justly applies to her these words: - 'I came out of the Mouth of the Most High, the FIRSTBORN BEFORE ALL CREATURES" (Papal Teachings: Our Lady, 151). 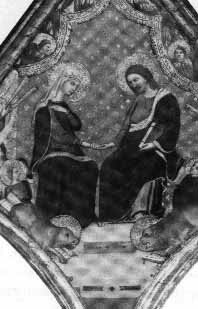 One Catholic author states: "For that reason this evil [decomposition] belongs to that class of human defects which for reasons analogous to those in Christ, are absolutely excluded from Mary also, as being inconsistent with her dignity and position and especially with THE CONSECRATION OF HER WHOLE BEING BY ITS INTIMATE UNION WITH CHRIST AS SPOUSE AND MOTHER. Hence the words from the psalm: 'Nor wilt thou give Thy holy one to see corruption,' must of necessity be extended to Mary also" (Mariology, Scheeben, 158-159 - "nihil obstat" by Innocentius Swoboda, O. F. M. Censor Librorum, "imprimatur" by Josephus E. Ritter, S.T.D., Archiepiscopus). This same author also states: "God's honor required that He bestow upon His mother such holiness as would enable her worthily to fulfill the service she was to render Him and that through this most intimate association she might be brought to a holiness like to His own. Moreover, the love of God, whereby Mary in an unparalleled way becomes DAUGHTER, BRIDE, AND SANCTUARY OF THE DIVINITY, requires that she be perfectly prepared for this association with God and, to that end, be raised to a participation in His perfection" (Mariology, Scheeben, 4). In the scrolls found at the Nag Hammadi Library in Egypt in 1945, there is an entire chapter given by a Pagan Goddess. This Goddess uses the words 'I AM' when talking to the people.... She identifies herself as 'I AM,' and the Goddess Thunder." Listen carefully to her words. Thou, whose Countenance is as grass refreshed by rain...Hear us. Thou, Crowned with Light, Life & Love...Hear us." Can you see how the prayers and the adoration given to the Pagan Goddess, Isis, have been copied directly to the Virgin Mary? The only possible title given to Isis, above, that is not given to Mary is, "Scarlet Woman Who Ridest on the Beast". Isis was a Virgin Mother of the Satanic Egyptian Mysteries Religion. God also boldly told Israel He would destroy her physically because they worshipped the Queen of Heaven [7:17-20; 44:25-30] Since God was so incensed with Israel over her worship of the Virgin Mother of Babylon, also known as the Queen of Heaven, you know He will be equally upset with the Roman Catholic Queen of Heaven! In Babylonian myth, Ishtar is represented as the mother and sister as well as consort of Tammuz, whose titles included both "Great Mother" and "Queen of Heaven". Childless women also prayed to her for intercession. It seems no matter where we look, the "Virgin Mary" of Catholicism mimics the goddesses of the pagan nations. The "Lady of Montserrat" is visited by thousands of pilgrims every year. The above picture shows the statue of "Mary" with the baby "Jesus" on her lap. In her hand is the world, no different than the Romanized Egyptian Isis who also had a globe in her hand. So, how is it that Mary, a simple Jewish girl of faith, one who would have abhorred idols and vain titles, come to possess all the titles and attributes of the goddesses Isis, Ishtar, Astarte, etc? Evidently the voices of the early bishops of Catholicism who boldly condemned Mary and saint worship were not heeded. "Is not the worship of saints and angels now, in all respects, the same that the worship of demons was in former times? The name only is different, the thing is identically the same...the very same temples, the very same images, which were once consecrated to Jupiter and the other demons, are now consecrated to the Virgin Mary and other saints....The whole of Paganism is converted and applied to Popery" (Quoted in, "Isis Unveiled", Blavatsky, 29). 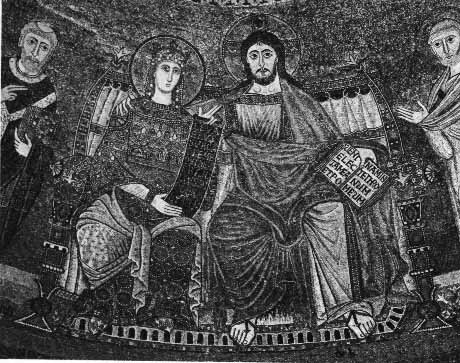 In the mosaic of the "Virgin" as the "Queen of Heaven" was commissioned by Pope Innocent II (1130-43) after he had defeated his enemy the anti-popes Anacletus II and Victor IV by the "cunning manoeuvres and prestigious influence" of "St" Bernard of Clairvaux. "St" Bernard, misapplied the Song of Solomon to Mary, with an "extraordinary sequence of sermons to the monks," just as the occultists had applied them to Isis. Thus the demon remained honored only under the veiled appearance of the mother of Jesus. "Immaculate is our Lady Isis...the very terms applied afterwards to that personage (the Virgin Mary) who succeeded to her form, titles, symbols, rites, and ceremonies.... Thus, her devotees carried into the new priesthood the former badges of their profession, the obligation to celibacy, the tonsure, and the surplice, omitting, unfortunately, the frequent ablutions prescribed by the ancient creed. The 'Black Virgins' , so highly reverenced in certain French cathedrals... proved, when at last critically examined, basalt figures of Isis!'" Mary not only received the titles and attributes of the pagan goddesses, but she would become like the Most High, answering millions of prayers a second, mediating those prayers before God, meeting each of her children at the hour of their death...and still be present in the hearts...helping...guiding and watching over them. She would come to fill the office of Holy Spirit as "Mediatrix of all Graces". The term "Spouse" was given to Mary particularly to elevate her position above the brethren and to prepare the way for the mother-goddess worship to replace the true worship that belongs to God and God alone!!! It is evident that Rome has a counterfeit "Mary" and not the true lady of faith that is spoken of in the scriptures. Mary, a descendant of Adam, was born in sin, (Psa.51:5; Rom.5:12; 3:23) a virgin UNTIL the birth of Jesus (Matt.13:55-56, Psa.69:8). She was the earthly mother of Jesus, (Jn.2:1) although Jesus NEVER called her "mother" but instead reverently referred to her as "woman". She was a member of the church (Acts 1:14; I Cor.12:13, 27), which is the spouse of Jesus (2Cor.11:2, Eph.5:26-32 Rev.21:2 and 9; 21:17) Upon her death, Mary's body returned to dust, (Gen.3:19) where she awaits the resurrection of her body with the saints. (1 Thess.4:13-17) The only command Mary ever gave is the only one Rome has deliberately ignored, "...Whatsoever HE saith unto you, do it." (Jn.2:5) Rome in her arrogance, has blasphemously usurped the word of God with her own doctrines concerning Mary, and in so doing has blatantly contradicted the scriptures. Eph.2:18 clearly states that we have access to the Father by "ONE SPIRIT", not two, as "Fr." Scanlan "invites" to "guide" him. 1Cor.12:7 says: "...the MANIFESTATION OF THE SPIRIT is given to every man to profit withal. For to one is given by the Spirit the word of wisdom; to another the word of knowledge by the same Spirit; To another faith BY THE SAME SPIRIT; to another the gifts of healing BY THE SAME SPIRIT; To another the working of miracles; to another prophecy; to another discerning of spirits; to another divers kinds of tongues; to another the interpretation of tongues: But all these worketh that ONE AND THE SELFSAME SPIRIT, DIVIDING TO EVERY MAN SEVERALLY AS HE WILL. For as the body is one, and hath many members, and all the members of that one body, being many, are one body: so also is Christ. FOR BY ONE SPIRIT we all baptized into one body, whether we be Jews or Gentiles, whether we be bond or free; and have been ALL MADE TO DRINK INTO ONE SPIRIT." Ephesians 4:4 clearly states: "There is one body, and ONE Spirit, even as ye are called in one hope of your calling...."
"While he yet talked to the people, behold, his mother and his brethren stood without [outside], desiring to speak with him. Then one said unto him, Behold, thy mother and thy brethren stand without, desiring to speak with thee. But he answered and said unto him that told him, Who is my mother? and who are my brethren? And he stretched forth his hand toward his disciples, and said, Behold my mother and my brethren! For WHOSOEVER SHALL DO THE WILL OF MY FATHER WHICH IS IN HEAVEN, THE SAME IS MY BROTHER, AND SISTER, AND MOTHER." Jesus clearly does not put his mother above believers, but rather among believers. This current Catholic exaltation of Mary is nothing more than a demonic ploy to rob men of their inheritance in Christ Jesus. The new sentence, 'Oh, virgin Mary, conceived without sin,' is simply a tardy acceptance of that which was at first deemed a 'blasphemous heresie' by the orthodox fathers" ("Isis Unveiled", Blavatsky, 110). If you have any questions specifically about Catholicism, you can email Rebecca Sexton, Former Catholics For Christ.